As Andy at Fyxomatosis puts it: “it’s the biggest annual alleycat in the world”. 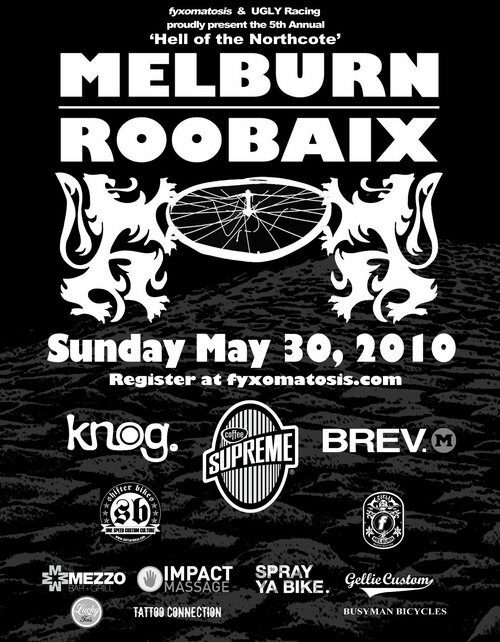 The 2010 Melburn Roobaix is nigh and you don’t wanna miss it. Check out more information at Fyxo!